Sandra Ball-Rokeach is a professor in the Annenberg School for Communication at the University of Southern California, and is Director of the Communication Technology and Community Program. Ball-Rokeach is author or editor of six books: Violence and the Media (with R. K. Baker), Theories of Mass Communication (with M. L. DeFleur), The Great American Values Test: Influencing Belief and Behavior through Television (with M. Rokeach & J. W. Grube), Media, Audience and Society (with M. G. Cantor), Paradoxes of Youth and Sport (with M. Gatz and M. Messner), and Technological Visions: The Hopes and Fears that Shape New Technologies (with M. Sturken and D. Thomas). Her published articles appear in such journals as Communication Research, Journalism Quarterly, Mass Communication and Society, American Sociological Review, Public Opinion Quarterly, Journal of Communication, New Media and Society, Social Problems, and The American Psychologist. 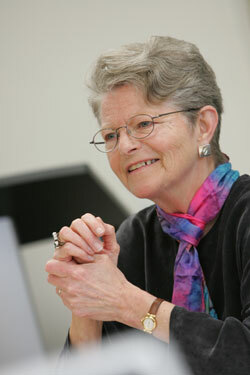 Ball-Rokeach was co-editor (with C. R. Berger) of Communication Research from 1992 to 1997. She has been a Fulbright scholar at the Hebrew University and a Rockefeller Fellow at the Bellagio Study Center, and is a fellow of the Society for the Psychological Study of Social Issues. She is presently serving on the advisory boards of The Southern California Injury Prevention Research Center and the McCune Foundation, and she is a past Chair of the Mass Communication Division of the International Communication Association. Ball-Rokeach also serves on the editorial boards of the Journal of Communication, Communication Studies, International Journal of Communication, Communication Research, and the Communication Yearbook.